The Welsh Corgi became famous at least by the fact that Queen Elizabeth II. is a fan of these dogs and in the course of her life already owned over 30 of these cute four-legged friends with short legs. So what does she like about the little ones? The Corgi fascinates me in its entirety: a sports dog with cuddling factor and resting in itself, not aggressive or malicious towards other dogs or persons. My dog always yelps at other dogs first, only to invite them to play or to join in cheerfully. I have presented her several times at shows and she has the talent to present herself at the right moment in such a way that the judges are enthusiastic about her. Even if they look cute, Corgis are not lapdogs: The fur-noses coming from Wales were originally cattle-driving dogs, who could duck easily thanks to their low shoulder-height if the cows left after them. They were also used on farms as guard dogs and to hunt mice and rats. “Welsh Corgi” means translated as much as “Welsh dwarf dog”. There are Welsh Corgi Pembroke and Welsh Corgi Cardigan Dogs. 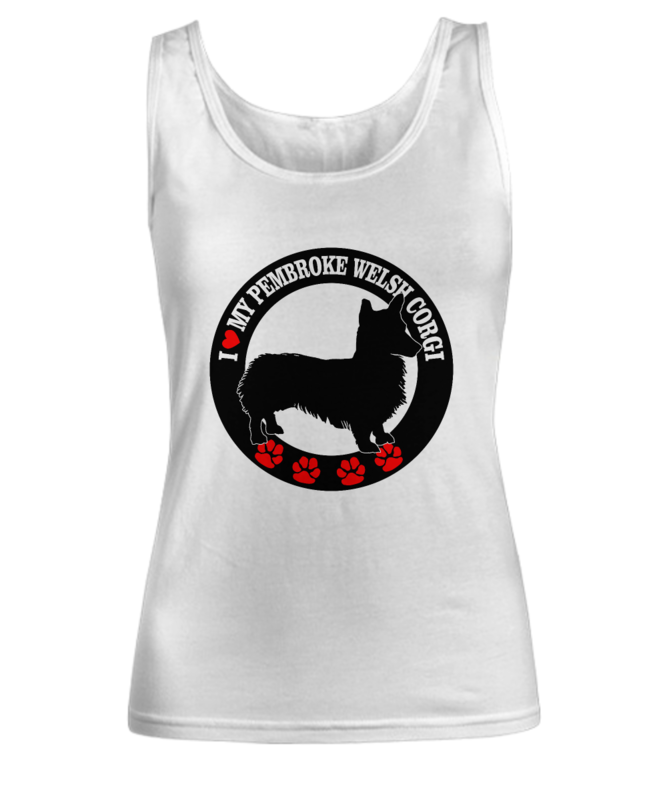 The terms “Pembroke” and “Cardigan” are identifying the region from which the breed originates. As a cattle drover and rat catcher, he is hardly used any longer today. Nowadays he has become popular with a small circle of fans as a family dog. However, there are not particularly many individuals: In Great Britain less than 300 Welsh Corgi Pembrokes are born annually. Corgis are usually very well suited as family dogs, which play lovingly with children and are good-natured. But one thing they can’t stop to do: Their tendency to bite their heels, which still remains to their predisposition from times of cattle driving. They are therefore more suitable for families with somewhat older children – also because they should already know how to deal responsibly with this friendly dog breed. Corgis do not tend to the nervousness as many other small dog breeds do. They tend to be calm when they are busy and engaged. Despite their short legs, Welsh Corgis need a lot of exercise and workload. If they get enough exercise, they can also be kept in an apartment. However, you should make sure that they climb as few stairs as possible with their short legs and long back to avoid health problems. If you live on an upper floor, you should take the elevator with your Corgi or carry your dog upwards. Corgis are quite independent in character and do not willingly subordinate themselves, which is why they need consistent training. They have a certain stubbornness and even occasional cheekiness in their disposition. Anyone who buys a Welsh Corgi should be able to smile about it. Moreover, their tendency to bark is stronger than with other dogs. Welsh Corgis need a lot of physical and mental activity. Try dog sports such as tracking and dog dancing with your Welsh Corgi. Of course, his nature is particularly well suited to dog sports such as driftball. Since Corgis are very agile, fast and intelligent, they can also be very successful in agility training. However, they should follow a course that does not contain any jumps due to the short legs and the long back. This Corgi is really very clever! Clicker training is also a good way to teach clever Corgis all kinds of tricks. You should not overdo it with the reward treats, because Corgis tend to be overweight. The Welsh Corgi loves to have a good meal on his plate and doesn’t want to miss any tasty snacks. Due to its stature with the long back and short legs, overweight is particularly dangerous for this breed and the pressure on joints and back is very high. Therefore it is important to give high quality, long satiating food to avoid obesity. In between meals give only low-calorie rewards. The best thing to do is to ask your veterinarian which amount of food is optimal. You should train your Welsh Corgi already as a puppy not to beg at the table – even if it is not an easy task with this cute four-legged friend to remain hard. To make sure that your Corgi is not overweight, you should weigh him regularly. If he has to lose weight, you should ask your vet how you can reduce his weight gently and healthy as well. Overall, both the Welsh Corgi Pembroke and the Welsh Corgi Cardigan are quite robust, healthy dog breeds. In rare cases, diseases such as hip dysplasia, degenerative myelopathy, progressive retinal atrophy or Von Willebrand’s disease occur. Degenerative myelopathy is a neurological disease with progressive paralysis that spreads throughout the body and is incurable. In progressive retinal atrophy, the retina slowly dies and the affected animals go blind. If the dog is affected by Von Willebrand’s disease, it has an increased tendency to bleed. Is a Welsh Corgi Suited For You? The Welsh Corgi is also suitable for dog beginners if they inform themselves accordingly and strive for consistent training – preferably under the guidance of an experienced dog trainer. If the lovable, but also headstrong four-legged friend is well educated, he is suitable well as a family dog and is fond of children. Ideally, however, the children are somewhat older. Since the Welsh Corgi builds up a close connection to his people, he should not be alone frequently and for a long time. In addition, his family should have time and energy to take him for long walks and to keep him busy for dog sports or intelligence games. If so, the Welsh Corgi is even ready for a life in an apartment, even if he is naturally happy about a house with garden. A Welsh legend tells that fairies and elves use the little Corgis at night as a mount or as a draught animal for their small coaches. To all the amazing women out there, everyday is your day. Not just today.